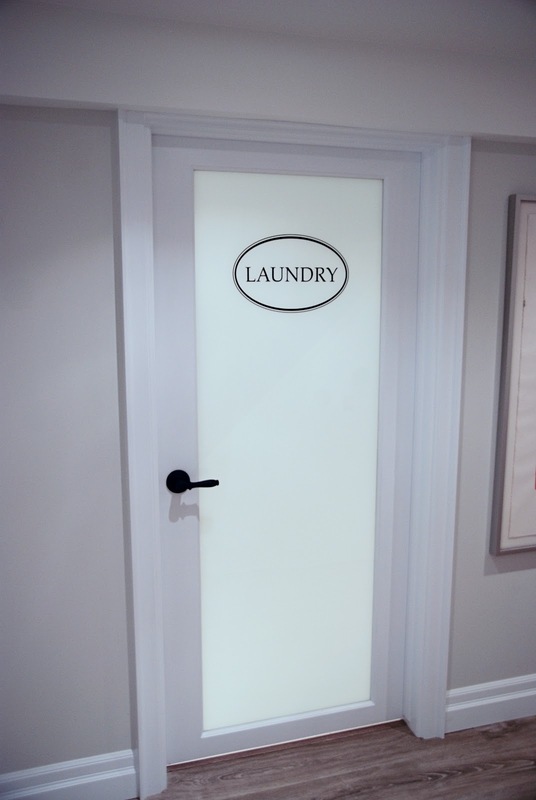 We decided to use a full frosted glass door to help bring some light into the laundry room. The laundry room is not a big space (only 11' x 7' ) so the frosted door helps the room feel not so claustraphobic. As well, the laundry room door is adjacent to the bathroom door so its nice to differentiate one from the other. The decal is a custom order from etsy seller Elephannie (who also did the decals we have on our bathroom door and kitchen chalkboard). HandyMan also installed some panel trim along the inside of the panel, where the glass meets the shaker frame. 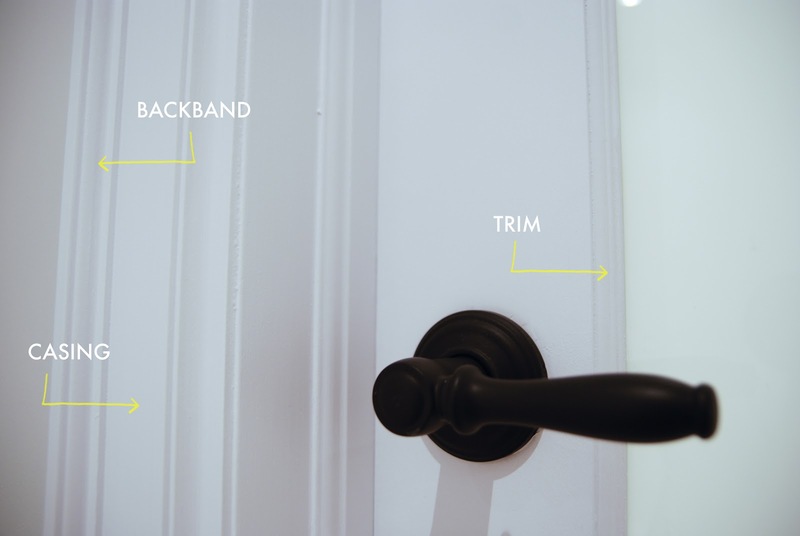 Its a small detail (and we've actually added trim to all our new shaker doors, back and front), but makes the door feel a little more special and finished. You can also see the door casing we installed. You can buy casing readymade at any big box store but if you're craving something a little different, try out your local lumber yard. We go to Central Fairbank Lumber for most of our trim. There are TONS of trim options and its fun to play around with all the samples (this photo shows maybe 1/10th of what they have on offer). 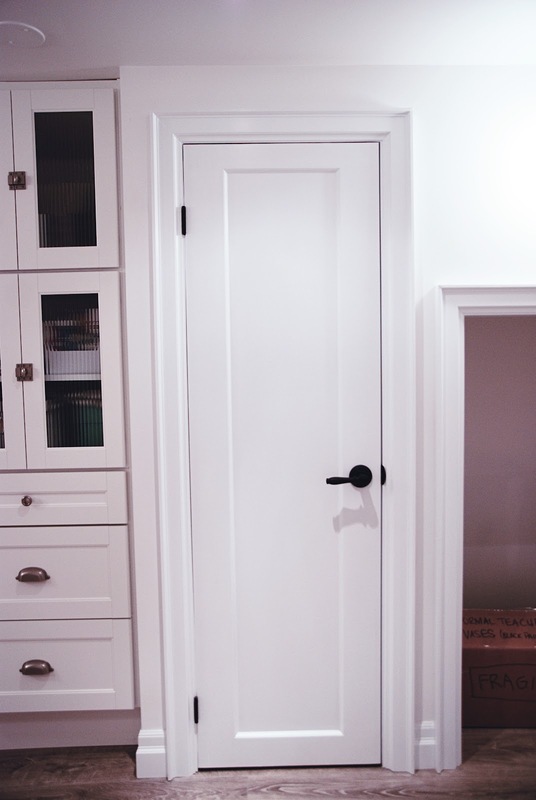 Casing can really make a door seem much more substantial, like with our broom closet. Its only 22" wide but with the casing it has a bigger presence.